'Healthcare is a right, not a privilege." - David E. Smith, M.D. 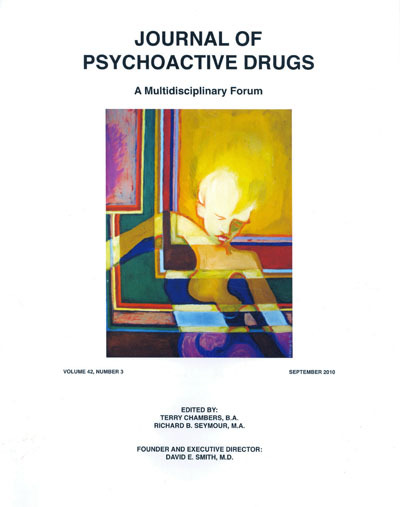 Founded by David E. Smith, M.D., in 1967, the Journal of Psychoactive Drugs (ISSN 0279-1072) is an authoritative peer-reviewed quarterly periodical containing timely information of a multidisciplinary nature for clinicians and other professionals in the drug abuse field as well as interested nonprofessionals. It is the first journal established to discuss drugs and drug abuse in the United States. The Journal is a founding member of the International Society of Addiction Journal Editors (ISAJE), an organization established to promote excellence in the communication and dissemination of information about addiction and related sciences.